It is more than a quarter of a century since the collapse of the Soviet Union, but the legacy of the Cold War still endures. Not only in our politics, but also in everyday life. Martin Sixsmith witnessed the end of the Cold War first hand, reporting for the BBC from Moscow during the presidencies of Gorbachev and Yeltsin. Now, he combines his two great intellectual passions - Russia and psychology - and takes us into the minds of those affected, on both sides of the Iron Curtain. Drawing on a vast array of untapped archives and unseen sources, Sixsmith vividly recreates the tensions of the Cold War - the hatred, the paranoia, the terror. Homing in on particular characters, moments and meetings, he revisits towering personalities like Khrushchev, Kennedy and Nixon, and explores the lives of some of the unknown millions who were caught up in the conflict. This is a gripping account of fear itself - and in today's uncertain times, it is more resonant than ever. 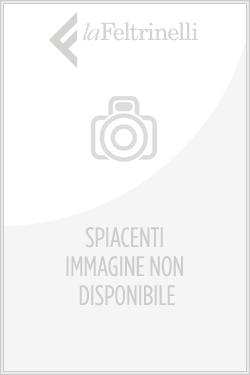 Acquista The War of Nerves in Epub: dopo aver letto l’ebook The War of Nerves di Martin Sixsmith ti invitiamo a lasciarci una Recensione qui sotto: sarà utile agli utenti che non abbiano ancora letto questo libro e che vogliano avere delle opinioni altrui. L’opinione su di un libro è molto soggettiva e per questo leggere eventuali recensioni negative non ci dovrà frenare dall’acquisto, anzi dovrà spingerci ad acquistare il libro in fretta per poter dire la nostra ed eventualmente smentire quanto commentato da altri, contribuendo ad arricchire più possibile i commenti e dare sempre più spunti di confronto al pubblico online.